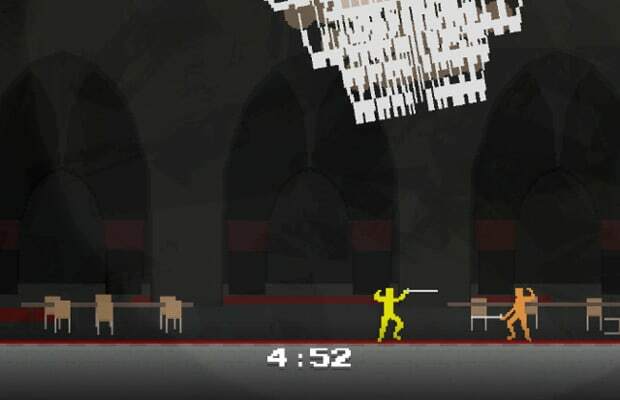 Developed by Mark Essen, Niddhogg is a killer party game that puts you and a friend up against one another in a classic battle of fencing and jousting. Its aesthetic is simple, and its premise is even more basic, as you're given just a joystick and a couple buttons to get the upper-hand on your opponent. Parry, thrust, and disarm your competition to win, or even get your challenger on the ground and rip their heart out. It's blood sport that avoids getting too graphic, instead opting to double up on the fun. Download it now on the Steam store. ll.